It’s time to forget everything you’ve been told about eliminating fat and oils from your diet because while it’s true that too much of the wrong kind of fat can cause serious health issues and make you, well, fat, your body actually needs certain fats to function properly. That doesn’t mean you should run out and order a couple baskets of greasy fries, however. The saturated and trans fats found in most fried foods can clog the arteries and increase the risk of heart disease. Unsaturated fats, on the other hand, offer anti-inflammatory properties, reduce the risk of heart attack and stroke, and help control blood sugar. So, how can you introduce the right kinds of fats into your diet? Add these 5 healthy oils to your kitchen arsenal! Olive oil contains more antioxidants than any other oil out there, so it is excellent for fighting the inflammation produced by cancer-causing free radicals. Use olive oil to sauté’ vegetables and stir-frys, or to top healthy salads and pastas. Make sure to choose extra-virgin, “cold pressed” varieties, however. Refined varieties are made with added chemicals. Olive oil is also high in monounsaturated fat (MUFAs). MUFAs, or monounsaturated fatty acids, can help lower your cholesterol and control insulin levels in the body. Coconut oil is incredibly versatile and can be used both inside and outside of the kitchen. It’s great for satisfying a sweet tooth, and it contains lots of healthy properties similar to other dietary oils. Coconut oil is one of the richest sources of medium-chain fatty acid, or MCFAs. 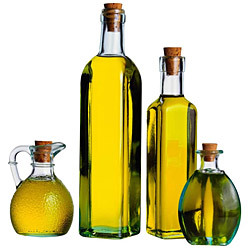 In comparison, vegetable or seed based oils are composed of long chain fatty acids, or LCTs. Coconut oil also helps to improve calcium and magnesium levels in the body, so it is also beneficial to healthy teeth and bones. Coconut oil is good for a long-term weight loss diet as long as you are eating low calorie meals. This American-favorite is loaded with anti-inflammatory properties, so it can help fight the damage caused by free radicals and prevent heart disease. Avocado oil is very rich in monounsaturated oleic acid (OA). 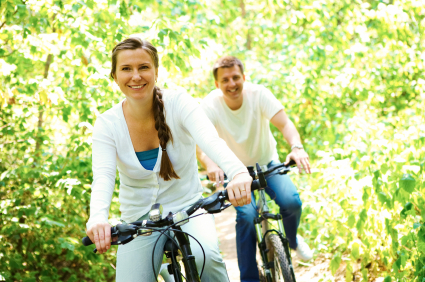 OA can inhibit the absorption of dietary cholesterol and triglyceride by blocking their transport into your bloodstream. Avocado oil is perfect for salad dressings or stir-frys, but choose Certified-Organic varieties. A staple in Asian cuisine, this healthy oil is low in saturated fat, but ultra-high in flavor. Excellent for lowering blood pressure and cholesterol, sesame oil is fantastic for heart health. Sesame oil seeds contain sesamol, a very powerful antioxidant and anti-inflammatory. Sesame oil is also great for bone health. Sesame oil contains a large amount of both zinc and calcium, both great for boosting bone mineral density and for preventing osteoporosis. Deficiency of either of this can increase the risk of bone fractures. Sesame oil goes great in soups, with noodles, and for stir-frys. Although it’s a little more expensive than the other oils on this list, walnut oil is a fabulous addition to chicken and fish dishes. Shown to help prevent heart disease by lowering triglycerides, this healthy oil should be used only as a topper because cooking it destroys the essential fatty acids it offers. Everything in moderation is important advice when it comes to diet. While the fats from some oils are an essential part of building a strong and healthy body, it’s definitely possible to have too much of a good thing. Be careful to incorporate fat into your meals in small quantities. 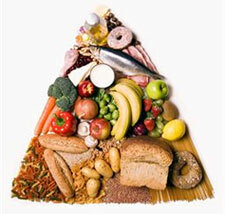 Remember the food pyramid you learned about as a kid? Fats and oils should be consumed sparingly.